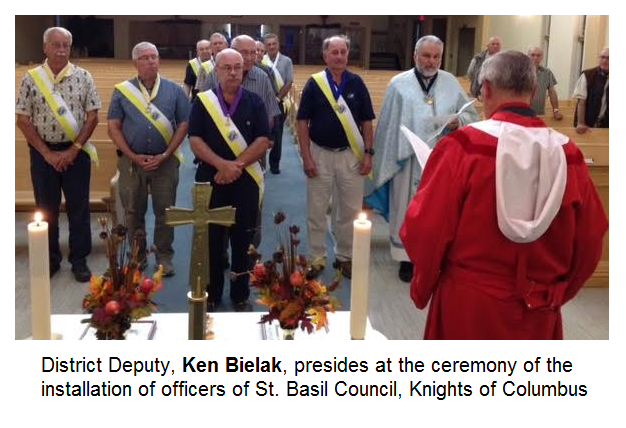 The Installation of Officers of the St Basil Council of the Knights of Columbus took place on Thursday, September 8th. As it was the feast of the Nativity of the Mother of God, the evening opened with a Rosary and the Divine Liturgy, concelebrated by Fr. Michael Kwiatkowski and Deacon Leon Twerdun. Being a day of obligation, other parishioners joined in for the evening Eucharistic service. Immediately after the Liturgy, Ken Bielak, District Deputy of the Knights of Columbus, began the ceremony of the installation of officers for the ‘Columbian year’ that was already upon us. 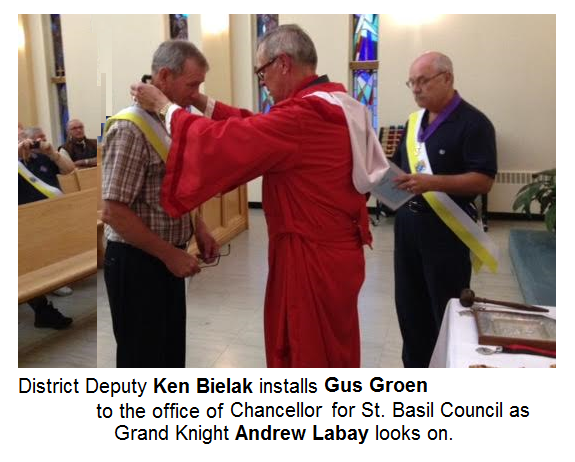 Brother Andrew Labay was reinstalled as Grand Knight of the Council for another year. The whole slate of officers did see some changes, but some of the Brothers offered to serve for another term. After the installation, a regular meeting was held as there was many activities and much work to do right around the corner. In fact, one of the first social and fundraising events was the annual Corn & Smokie Feast that is organized and prepared for the Parish in the church auditorium to which everyone is invited! 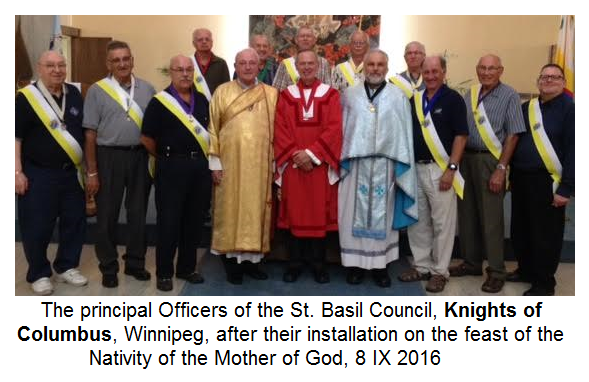 God bless this local council of the Knights of Columbus for all that they do for their parish and for the wider community! Their tradition of preceding every monthly meeting with a praying of the Rosary and with a Divine Liturgy is surely the key to their great success in all their endeavors over the years.